What herbal medicines do people still use today? Aspirin and quinine are probably the most famous herbal medicines that have made the transition to mainstream medicine. Many modern medicines were originally isolated from plants, however, but the commercial sources are now usually man-made. 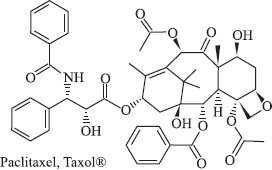 For example, Taxol® (paclitaxel) was originally isolated from the Pacific yew tree. In 1967 this compound was found to be useful as a treatment for various types of cancer. For almost thirty years, most of the paclitaxel that was given to patients was obtained from the yew tree. Alternate supplies of this drug were developed in the 1990s, moving this natural drug into the realm of modern synthetic medicines.